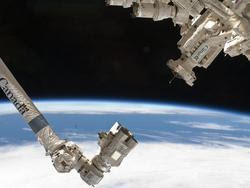 How Canada funds development will also be a topic for discussion as the Canadian Space Agency will discuss their Space Technologies Development Program. Space Exploration Technologies (SpaceX) who are revolutionizing the launch industry, will address their disruptive technologies. We'll also get an update on the status of Canada's increasing military presence in space and the technologies they will be using. The President of the Canadian Space Commerce Association said of the annual meeting "Our meeting will be looking at new technologies and business models that must be the successors to the Canadarms and Telesat constellations in order to maintain and grow Canada's position within the space industry which is valued at over $3 billion dollars annually to Canada's economy."